Looking for a nail design that adds a touch a chic without over doing it? We’ve got the perfect solution. Neroli Salon & Spa Nail Designer, Marley has created a versatile design that you can completely change by switching up the colors where you like a bold pop of pink, or even want to skip the base color and go for a negative space manicure. Step 1- Take the darkest shade you’re using and draw a line a crossed where you want the angle to be. Optional: Skip the base color and and instead go for a negative space manicure. Step 2- Fill in open area. Step 3- On each new nail, draw your first line at a different angle to create the effect that Marley has on her nails. Step 4- Fill in the empty area. 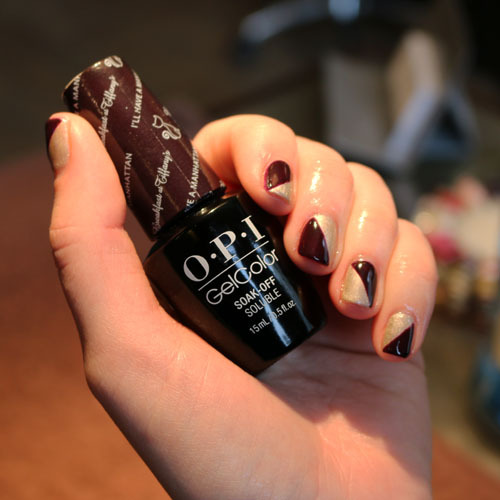 This post was written by Neroli Downtown Nail Designer, Marley. To schedule a manicure or pedicure service with Marley, call 414.227.2888.